Choose a finish, grade, width and enter your square metres for an instant price. Add your items to your shopping basket to buy online or save as a quote. 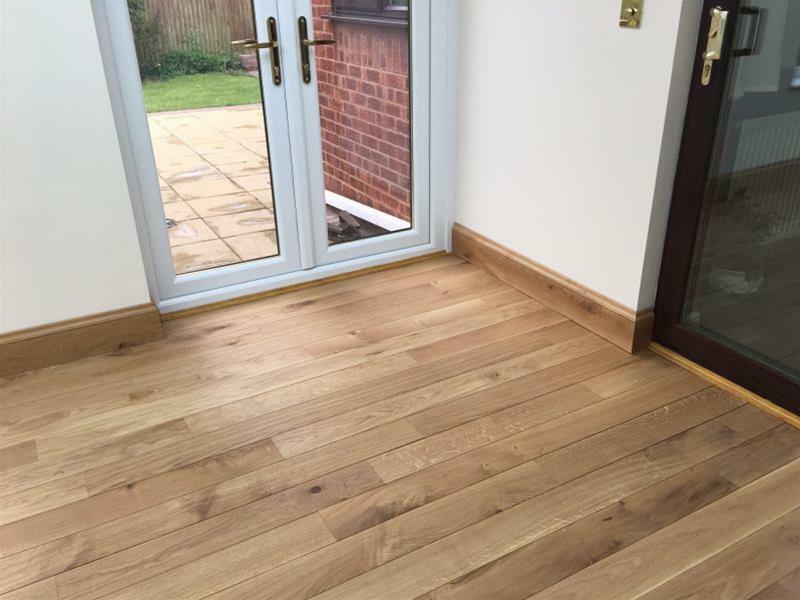 Engineered flooring gives the appearance of a solid oak floor, but with the support of a manufactured plywood backing board. This prevents the traditional problem of cupping and warping that can be suffered by traditional solid oak flooring when fitted into a centrally heated house. When laid they appear to be solid oak. Unfinished Oak Flooring in Prime Grade (few to no knots) - Left untreated for you to apply your own finish. Supplied in lengths of 1.8, 2.1 and 2.4m (random selection). Supplied in packs of 1m2. 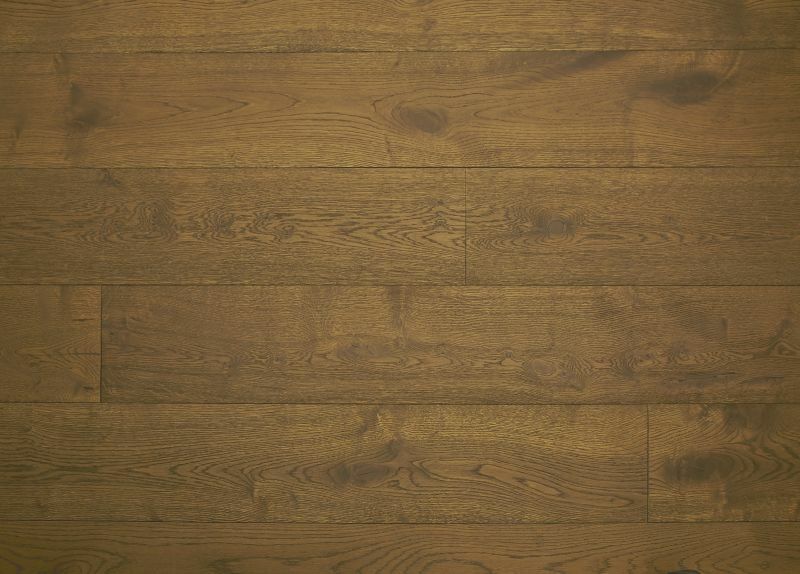 Unfinished Oak Flooring in Rustic Grade (many attractive knots) - Left untreated for you to apply your own finish. Supplied in lengths of 1.8, 2.1 and 2.4m (random selection). Supplied in packs of 1m2. 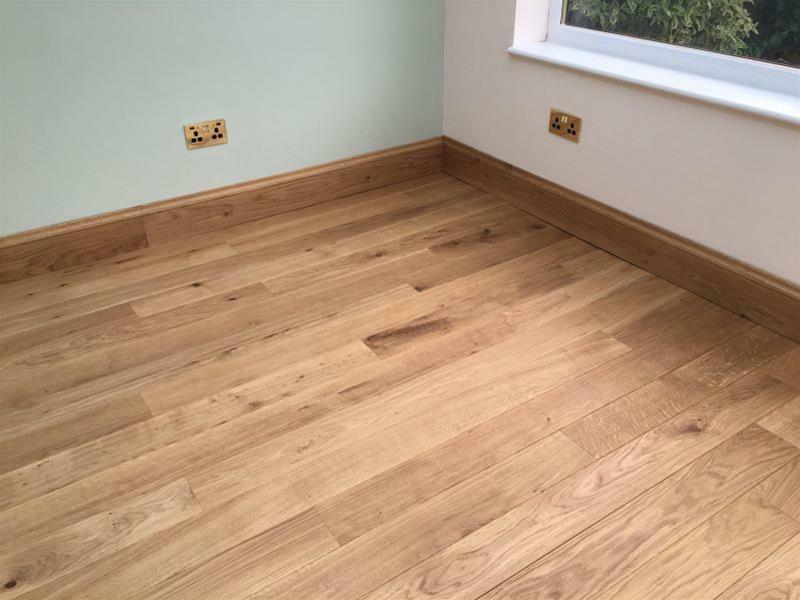 Engineered oak flooring boards brushed with a UV protective oil that brings out the grain and warmth of the oak. Supplied lengths: 1.9m. 150mm widths sold in packs of 1.7m2. 190mm widths sold in packs of 2.1m2. Oak flooring brushed with a warm, golden, smoked colour UV oil. Supplied lengths: 1.9m. Please choose a finish first. You'll then be able to choose from available grades. Use the calculator above to select unfinished or pre-finished, grade and a board width, then type in how many square metres you need to cover. Be sure to buy around 10% more than you actually need to account for wastage from cutting and shaping as the flooring is being laid. 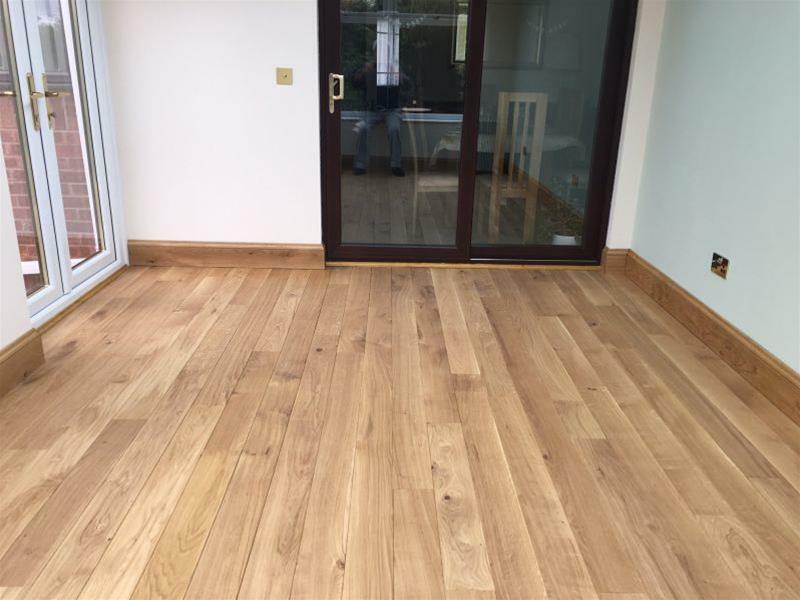 iWood offers an attractive range of pre-oiled, lacquered and coloured engineered oak flooring boards, as well as untreated boards for you to apply your own finish. Our pre-finished engineered wood flooring boards are available with a range of protections and oils already applied, so the boards are ready to install. Our unfinished engineered European oak flooring boards are supplied without any treatment for you to apply your own oil, lacquer or stain. The range of finishes (see below) give extra protection and really bring out the very best surface details of the already attractive rustic oak boards. Choose from pre-oiled or lacquered, coloured for a finish that compliments your home. From an ultra-modern-looking charcoal stain, through a warm, rich, smoked finish, to a super-pale white pearl look, we have a flooring to suit your tastes. 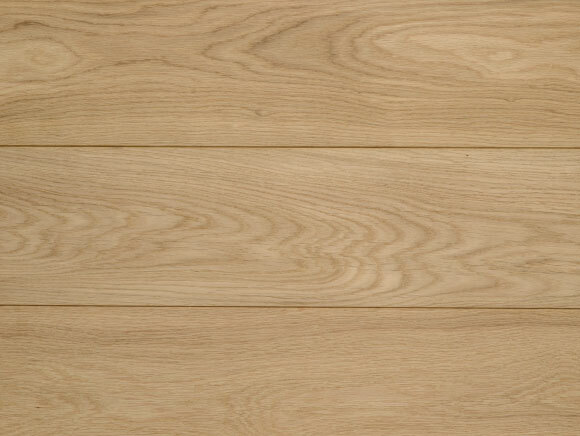 iWood's pre-finished engineered European oak flooring is available in seven attractive varieties. Click to zoom in. You can get prices for any of the following above. 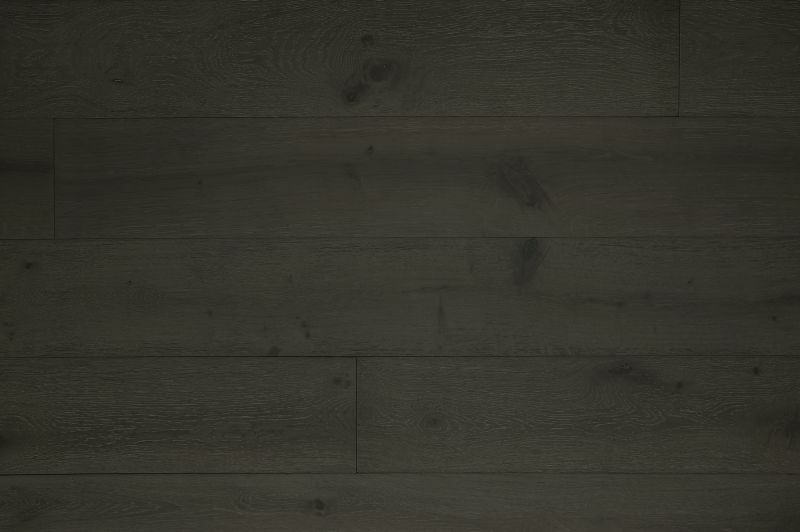 Engineered wood flooring boards brushed with a UV protective oil that brings out the grain and warmth of the oak. Oak flooring boards with an invisible UV oil applied for protection without affecting the natural look of the wood. Oak boards with a clear lacquer applied for maximum protection while still showing the oak in its natural colours. Brushed and UV oiled oak with a pale, white-washed appearance. This is currently very popular with high-end modern themes. Brushed and lacquered oak with a modern, graphite colour. Oak flooring brushed and oiled with a warm, medium brown coffee colour. Oak flooring brushed with a warm, golden, smoked colour UV oil. The durability of the engineered backing makes this flooring suitable for underfloor heating, and its moisture resistance ensures no movement through the seasons. The high durability also makes this flooring perfect for commercial applications with high traffic as well as domestic purposes. Our pre-finished range is supplied in lengths of 1.9m, with a choice of 150mm or 190mm widths. The overall board thickness is 18mm, including a 4mm solid wear layer. The grade of timber describes different classifications of appearance or sometimes physical properties. 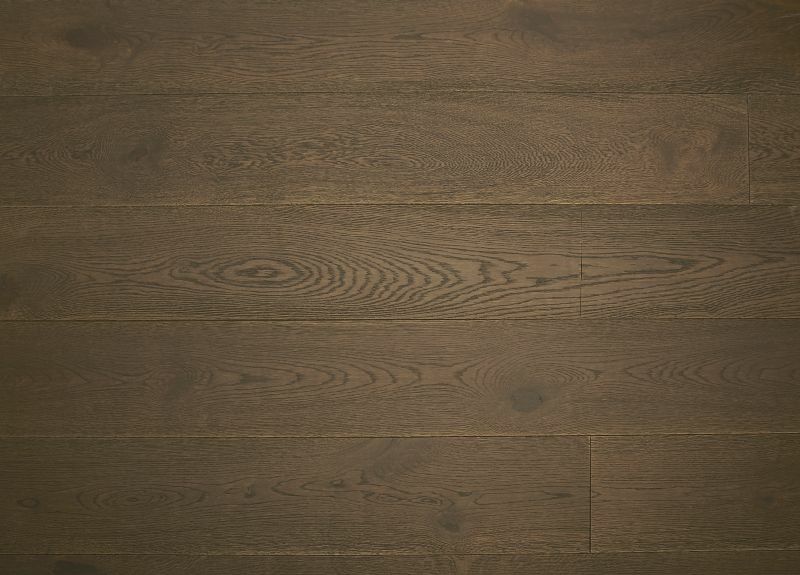 In our engineered European oak flooring range we offer two grades, a prime grade and a rustic grade, with the difference being in appearance. Only the unfinished flooring is avilable as Prime, with our pre-treated range available in Rustic. Prime grade oak flooring is virtually free from knots (if there are any, they will only be tiny), giving a clean, modern look causing little visual distraction, while rustic features more knots for a more traditional feel. Prime boards are also uniform in colour, while rustic can have slight variations which are negligible once they are treated anyway. Both prime and rustic grades have any knots pre-filled (so they won't catch on bare feet) and the whole board is sanded for a smooth finish. The untreated flooring is ready to take an oil, lacquer or stain of your choice. The pre-treated boards have various finishes and colours to choose from (see above). 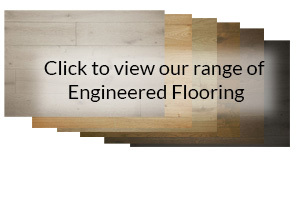 What Sizes of Engineered Wood Flooring are Available? 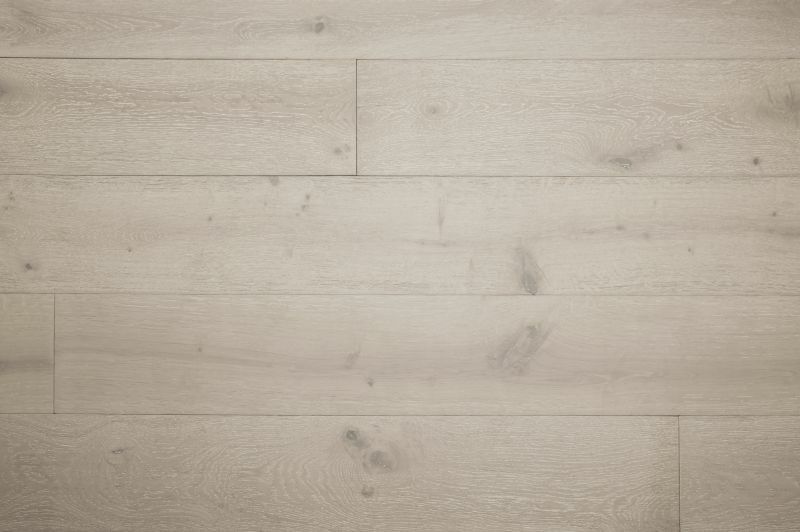 Our unfinished engineered oak flooring boards are provided in lengths of 1.8, 2.1 and 2.4 metres. With unfinished, you will receive a random selection of lengths to make up your square meterage. 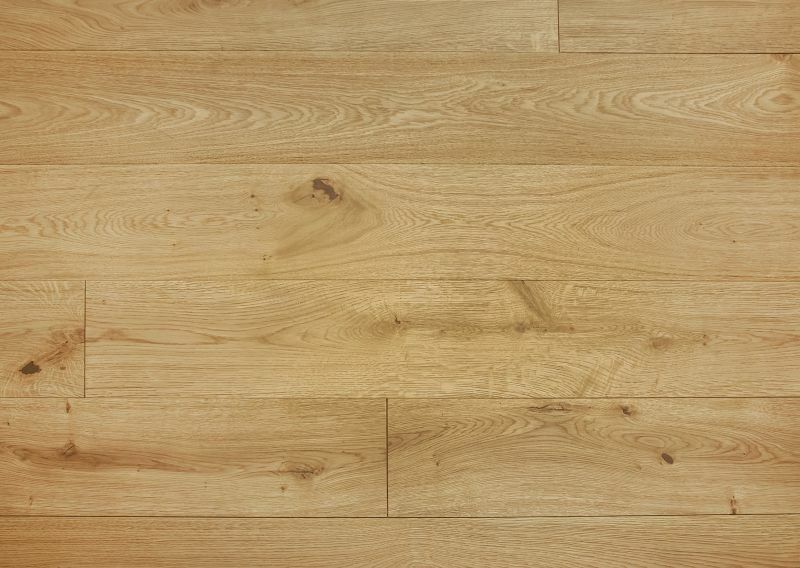 Our pre-finished engineered European oak flooring is provided in lengths of 1.9m. For unfinished boards, in prime grade, there are two widths available, 180mm and 200mm, and in rustic there are three, 160mm, 180mm and 200mm. 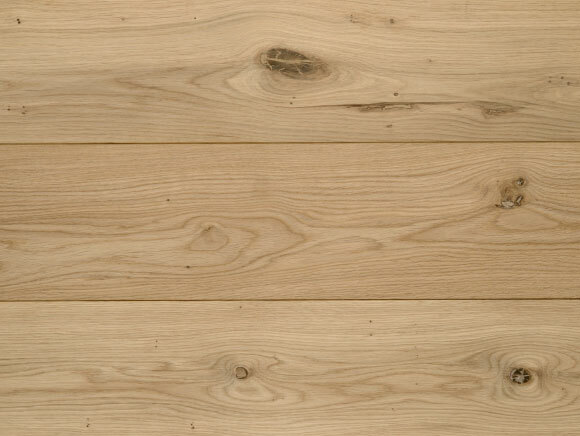 For pre-finished rustic boards, there is a choice of 150mm or 190mm widths. The widths stated are the Face Widths, or the amount of board left showing once the tongue and groove have been fitted together. Both unfinished and finished boards have a tongue and a groove down all four sides for ease of laying and strength and solidarity once installed. On unfinished, the two long edges feature a micro-bevel, giving a tiny v-groove where the boards meet, whereas the pre-finished boards are bevelled on all four sides. The unfinished boards are all 19mm thick, featuring 15mm of high-specification manufactured birch plywood, with a 4mm solid oak top. The pre-finished boards are 18mm thick, with a 14mm manufactured backing and a 4mm solid oak wear layer. Narrow boards, when highly polished, are known to provide a formal, classy look, while wide boards give a more relaxed feel to a room. The width of the boards can also affect the perceived size of your room. Small rooms can be made to appear larger through the use of narrow boards, while narrow rooms can be made to appear wider by laying wide boards lengthways across the narrow width of the room. If you opt for our unfinished boards, treating your flooring is essential to minimise potential stains from spills or animals. iWood's engineered wood flooring is provided unfinished, that is without oil or lacquer, so you can apply your own choice of treatment for a variety of different looks. Numerous products are available that will colour the oak and bring out the grain pattern as well as options to give it extra physical protection. iWood doesn't sell finishes, but we've made a page about an online shop we've personally purchased products in the past from https://www.iwood.co.uk/finishes. 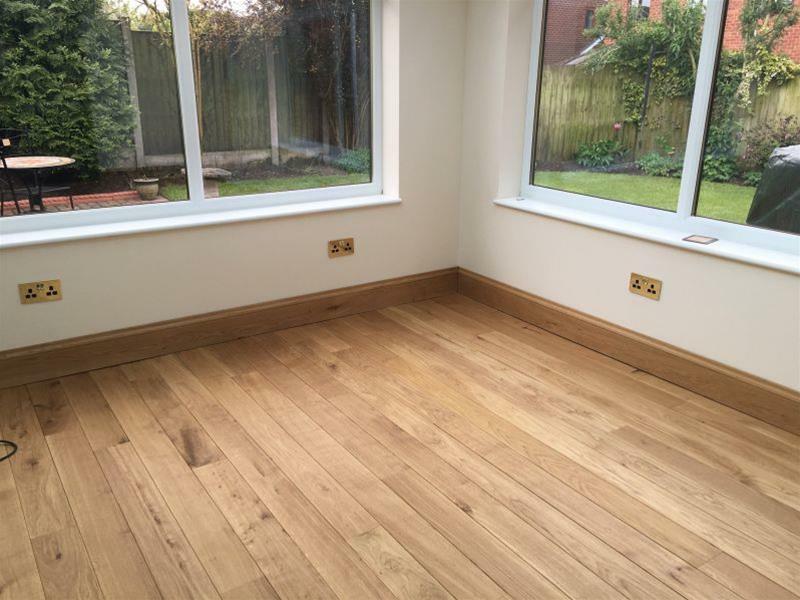 While both the unfinished and pre-finished flooring is tongued and grooved for simple installation, we recommend your flooring be fitted by an experienced professional who can take your exact scenario into consideration. We recommend that you install door mats in front of entrances to avoid grit and small stones being brought into your house that could scratch your floor. We also recommend applying protective pads to the feet of all chairs and tables to avoid scratching your floor. 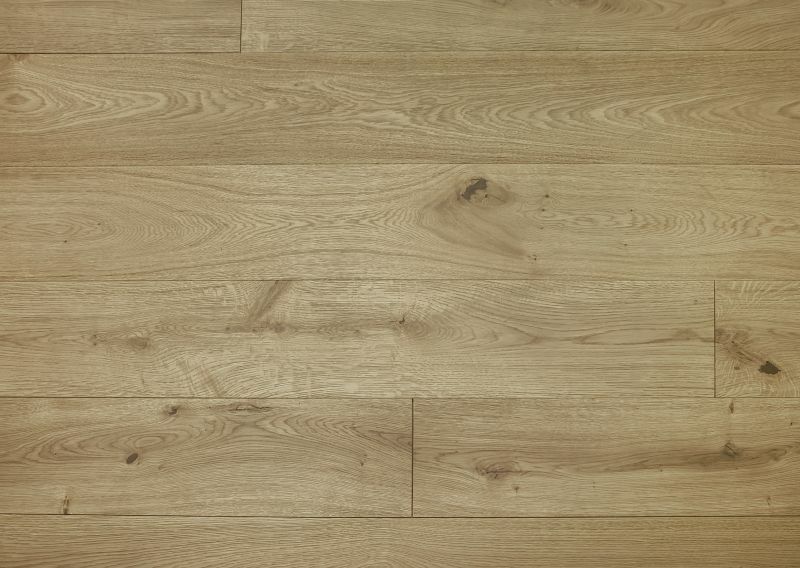 The lead time on our oak flooring is approximately 7 – 10 days. If you have any further questions regarding our engineered wood flooring feel free to call the iWood team on 01889 597281 or get in touch through our contact form. How long do our deliveries take? See the product description above for availability. Once your secure order is placed, you should get an email that confirms exactly what you've ordered. Once we receive you're order from our sawmill and wood suppliers and we're ready to ship it out to you, we'll give you a call to confirm a delivery with you.